Creation. Gaming. Bring it on. This narrow bezel 15.6-inch Full HD laptop with the latest 8th Gen Intel&reg; Core i5+ 8300H processor (Core i5 and Intel&reg; Optane™ memory)*,** and NVIDIA&reg; GeForce&reg; GTX 1050 Graphics gives you the power you need to make digital art, and conquer new worlds. Every detail pops with this FHD display, and gaming becomes more lifelike than ever before. Great laptop has plenty of ram and a big hard drive. Cones with power cord and charger and a .free trial version of office that I like very much I will purchase the full program. 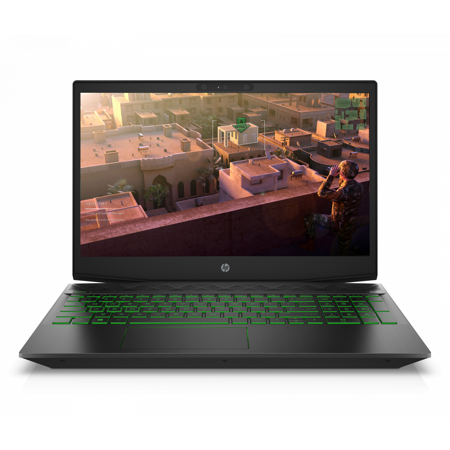 I love gaming and it is very fast with no lag of you are a gamer you will live this laptop. When browsing it is very fast. The 15.6 inch screen is just the right size. I bought a case for it and that makes it very easy to take with you it isn't heavy and it is a pleasure to take with you anywhere you go. I recommend this to anyone who needs a laptop you won't be disappointed I would give it 10 stars if I could if you are looking quit shopping and buy this one. This is the first Windows laptop I've used, coming from a 2009 Macbook, in fact, and I have to say that I am very impressed. The GPU is a proper gaming GPU (meaning they aren't just using the word “gaming” as click bait). I was afraid that having such a powerful GPU would cause it to have a short battery life. That said...I was pleasantly surprised to find that it does, in fact, have TWO GPUs (the Nvidia GTX 1050 and the embedded Intel GPU that comes with the CPU). The computer is smart enough to use the much lower power draw Intel GPU when you're doing basic computing and only fires up the Nvidia when you open a program that demands it. Speaking of programs using the GPU, while it is sold with the idea of gaming, anyone using Adobe's Creative Cloud will most certainly find the beefy GPU nice as well. Programs like Photoshop and Premiere can also make use of the GTX 1050 to speed their operations. This, in my opinion, is kind of a missed selling point that HP should really be exploiting as there are plenty of programs other than just games that a good GPU can make quick work of in performing tasks (especially when they can make use of the CUDA Processors on the GTX). The computer also has an HDMI port with full audio support which is REALLY nice if you want to easily connect it to an HDTV (whether to play a game or just to use it as a media center). I didn't see much discussion on the webpage, but it also has Thunderbolt 3 which allows in general super-fast 40GBps external connections, plus opens the door to being able to attach external, faster GPUs at a later time (total transparency: I haven't checked with HP if external GPUs are supported, just throwing that out there). The keys are backlit in green for an easy-on-the-eyes experience. Super laptop! It is faster! Could it be the fastest? All the major components were as stated. It took about 15 minutes to set up. I deleted the pre-installed McAfee and installed my usual Norton Security. After that, I checked the speed for both. And the results are impressive. This HP has Ping 13 ms, Download Speed 71.47 Mbps, and an Upload Speed of 5.90 Mbps. The one that I am using currently is ACER which is also using Intel i5. And the results were Ping 13 ms, Download Speed 61.45 Mbps, and an Upload Speed of 4.08 Mbps. So, this HP has the same Ping, but 16% faster Download speed, and 45% faster Upload speed. My current internet speed is max Download 75 Mbps and max Upload of 5 Mbps. Obviously, this HP is much faster and provides the closest to the internet speed settings. This computer was then being tested out by my son. And he was playing The Witcher 3: Wild Hunt, and Neir: Automata. He was fond of the speed, keyboard key responses and the graphics. Great improvement. No lag. He was using a wired gaming mouse. Obviously, this computer will likely be used more often for home and office purposes, besides gaming. And it has all the hardwares it needs. In response to the comment posted by the other buyer, I hope you do fully understand that this pc is a custom build, the original model by HP uses a weaker cpu and gpu while adding more ram. This is a custom one you can fully build on the HP website. I purchased this laptop about 2 months ago. The first one I got, kept blue screen erroring out. I spent 3 days going back and forth with tech support, repeating the same steps, and eventually returned it. The one I have now, runs pretty fantastic, BUT the keyboard is back over green backlighting and the black is already wearing off of the keys and it's $379.99 for them to replace them. Unless they are popping off, it's not their fault. I am NOT paying that much, after 2 months of having it, and paying $1000 the first time, I'm not spending that every couple months just to read my keyboard. I'll get an external one for HALF that that works 3 times as well. The HP support team was 0 help both times I had issues. Alot wrong with this a few good things Cons. Slow considering it has a Intel® Core™ i5-8300H (quad Core) you figure the reponse time would be better but It lags when doing even the simplest task. I currently use a Lenovo Flex 2-15 and Boot up and windows load might be slow but once in it flys. This does not fly even opening photoshop menus causes lagging. 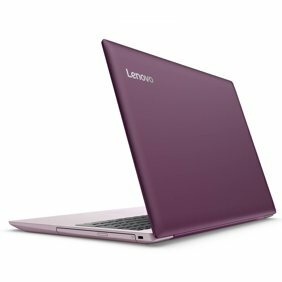 so I will be returning to the store and asking for a refund I will continue using my Flex 2-15 until I can find something if it is like the problem I had with the lenovo it is a hybrid drive problem. Got this laptop for school more than anything. used for 1 week and it crashed. Sent back for repairs and got it almost a month later but the screen was distorted. used it for awhile even though it had a funky screen and it crashed again with 2 weeks. HP refused to take it back and repair because by that time the warranty was up. Dont bother with this laptop, and if possible try avoiding the brand all together. Does it come with a webcam and mic built in? 1. Yes, this model has an integrated webcam! 2. Yes, this laptop comes with a camera and built in mic. Does this come with a NVIDIA GeForce GTX 1050 Ti? Or just a NVIDIA GeForce GTX 1050? The Ti is better. The posted information is conflicting. 2. My specs sheet only calls out that it is the 1050 and does not mention it being the ti. How come the specs say gtx 1050 but it has 4gb???? 4gb is for the 1050 Ti, not the 1050! does this laptop have 1050 Ti or 1050?????? 1. It has NVIDIA® GeForce® GTX 1050 with 4 GB GDDR5 dedicated RAM. Yes, that is possible. It's not the 1050 Ti. HP gets custom-made components.